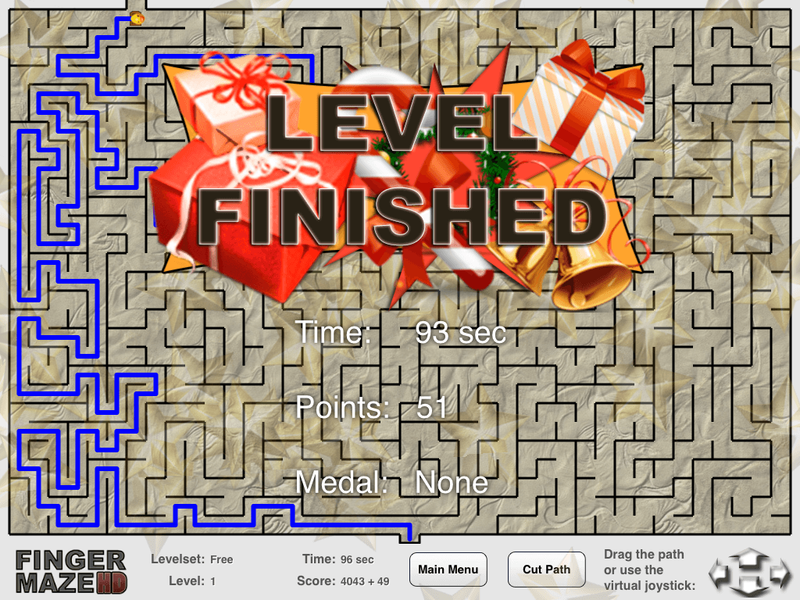 FingerMaze HD is a iPad game where you have to solve mazes of increasing difficulty in the shortest time possible. 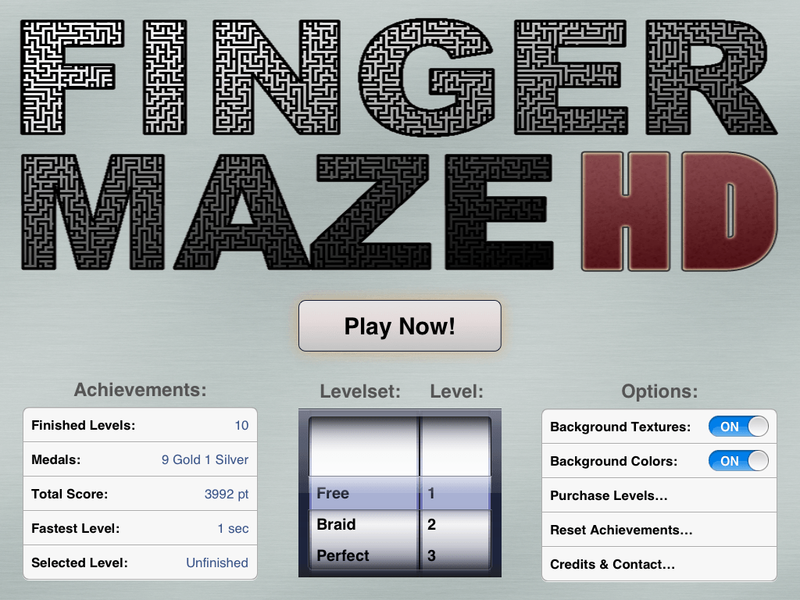 FingerMaze HD is free of charge but only the first 3 mazes are built-in. 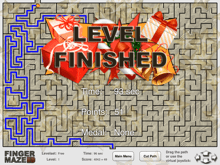 Additional mazes are un-lockable with an in-app purchase of 0.99$.